What is ESPN’s fetish with USC about? OMGZ LOLZZ!! !111 I ❤ USC so much!! Umm, how? He was 15/31 for 195 yards and an INT. He just handed off the ball to McKnight and threw it to the flats and let the receivers do everything. He did squat. Seriously, this is one of the biggest problems with ESPN. They are obsessed with USC, ESPECIALLY Mark May. I can’t imagine how Mark May kept his head from exploding when USC was losing. He regularly sends Pete Carroll flowers. It’s ridiculous. He’s as bad as Lou Holtz is for Notre Dame. Get some people who will actually tell things straight! Serena Williams was disqualified for taunting. Probably the second best news of the day (besides Virginia Tech destroying Marshall). She is beyond arrogant and such a poor sport, it’s good to see she got hers. Serena is another one of ESPN’s darlings. Rick Reilly wrote an article on ESPN saying the Williams’ sisters are the most underreported story in sports. GIVE ME A BREAK! That is all I hear about when tennis highlights come on, or the only reason tennis shows up on SportsCenter. Please. Again, get people working for the best sports network who are actually honest and tell it like it is. It’s become a circus. How could anybody DQ.... ME?! It is always great, for me, to see USC lose. Day in and day out, I log onto sports websites, and every single one proclaims USC the greatest team in history every single year. One guy in particular that does it, is Mark May from ESPN. He is obsessed with USC. No matter what happens, he will be there to say USC could beat every NFL and All-Star team. I cannot watch him anymore. He has way too much bias to be on an ‘expert’ panel. I really do not see how he is an expert. Millions of college kids could out debate him on anything college football. 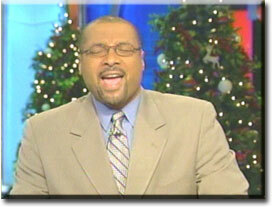 If Mark May is an expert, how come I don’t see his name in the Hall of Fame? Oh yes, I went there folks. Anyway, it was great to see USC go down. They can win all the big games they want, but if they can’t beat the teams they’re supposed to, it’s all for not. Last year it was Stanford, the year before Oregon State the first time, and this year back to Beaverville. USC can’t even go undefeated in their own conference. They should now be permanently locked out of the BCS National Championship game. I know that when it gets near December, people like Mark May will say the Oregon State game was a fluke. Well, the only flukes a good team should have are in the first half, or on the practice field, not during the whole game. I really don’t think anyone besides experts and USC students like the Trojans. They are the Patriots of college football. They win too much. I am tired of seeing them near the top of the polls and just watch, on Sunday they will probably only drop down to #6 or #7, barring anymore upsets. Completely and utterly ridiculous. They are not that good. Mark Sanchez is not that good. Over-rated *clap, clap, clap-clap-clap. * So let’s hear a round of laughs for the USC football program. HAHAHA.